ABC Maps - Tajikistan - Flag, Map, Economy, Geography, Climate, Population and more interesting country specific facts. CountryWatch.com - Map of Tajikistan - Map, local time, key-data, currency converter, latest news, country, political and economic overview, corporate sector, environmental trends & more. Expedia Map of Tajikistan - Expedia Map of Tajikistan - Zoom in - move map, re-center and other options make Expedia maps superb tools. Their maps are clear and the many options make finding what you want a certainty. 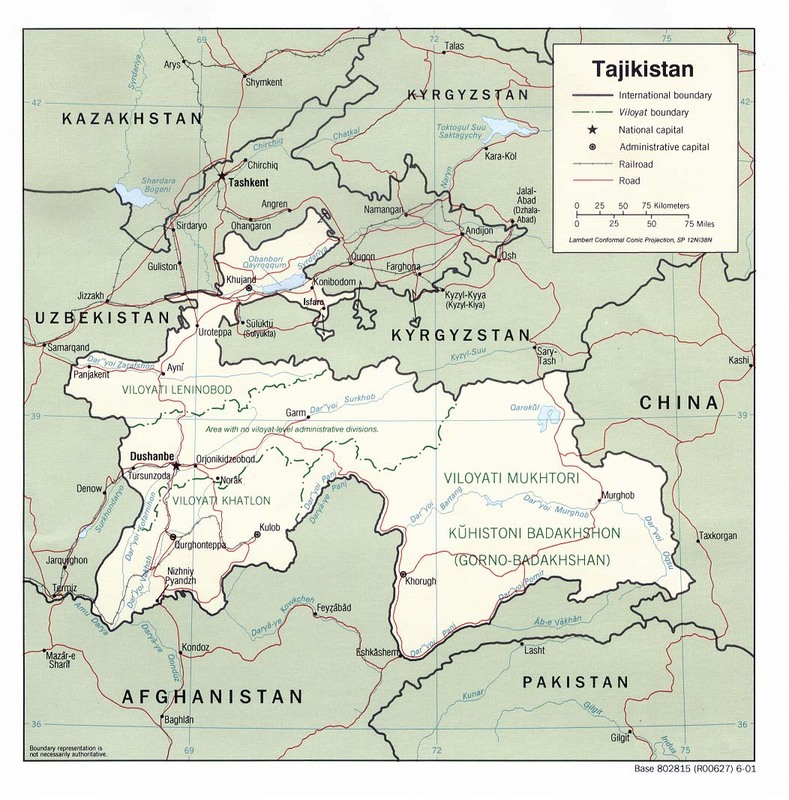 Graphic Maps - Map of Tajikistan - Graphic Maps provides a country profile plus map of most of the world's countries. They also have locator maps which show a countries location on it's continent. MapQuest Map - Tajikistan- Absolutely amazing maps of the world in which you can continually zoom in on and and re-center. 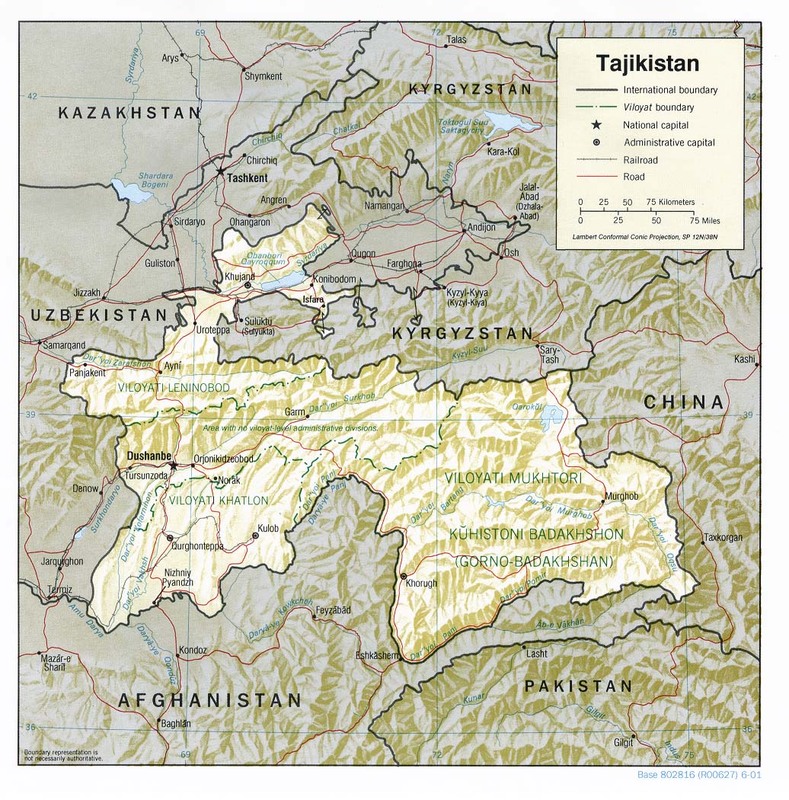 Merriam-Webster Maps - Tajikistan Map - A clearly detailed map plus geographic facts from M-W.
Free Blank Outline Map - Tajikistan - A free blank outline map of Tajikistan to print out for educational, school, or classroom use from Geography Guide Matt Rosenberg.